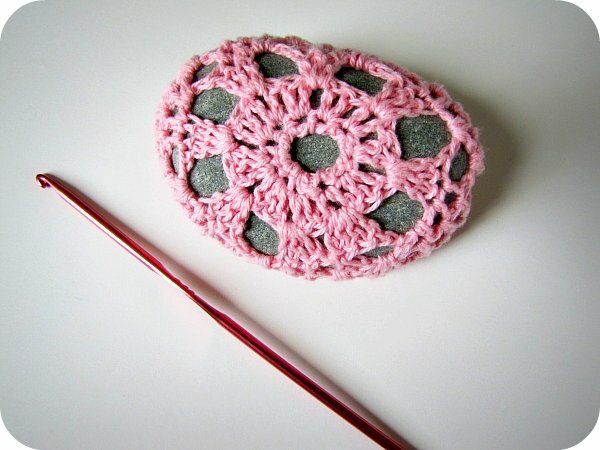 I have always loved crochet covered stones and decided to give one a go (cause as you know, everyone needs a crochet covered stone or two sitting about their home). This free pattern was perfect - easy to follow and great having the photos of the process to help. I used light pink cotton, and am already onto my second one... I can see Symon having a grizzle about them soon!! Hmmmm, maybe I should make him a bunch of these for his Christmas present? Joining in with Our Creative Spaces. These look absolutely delightful, rather than try myself, I may take this around to Mum and get her to make one for me!! Cop out, I think so! I have a similar pattern pinned.. I want to try one soon! They are so pretty!! Great job on yours. I love the pink thread! haha! I am sure Symon will love them! They're so cute! The more I'm seeing the interesting crochet ideas out there, the more I'm thinking of having a go! That's really cute. 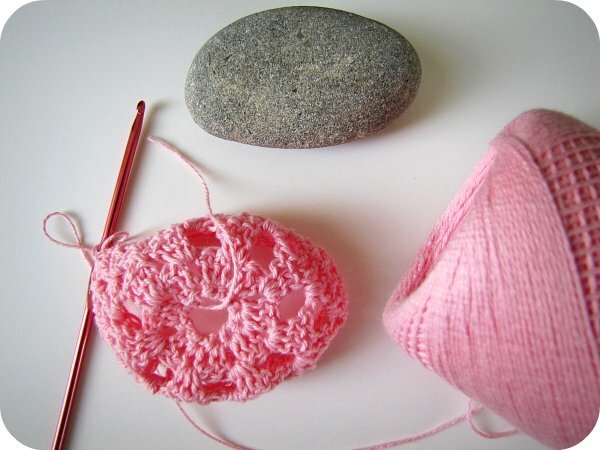 Learning how to crochet is rapidly rising in my list of things I want to learn to do! You make me want to learn crochet! Maybe that will be my new mission. Have you seen this Kristy? It's gorgeous hon. I know my husband will think I've lost the plot when I make one!!!! Very cute. I'm thinking maybe I can con my kids into thinking they are cool enough to keep instead of a real pet once we move! I love it! And I think you should crochet a bunch to put in your hubby's car for another crochet suprise! You crack me up! 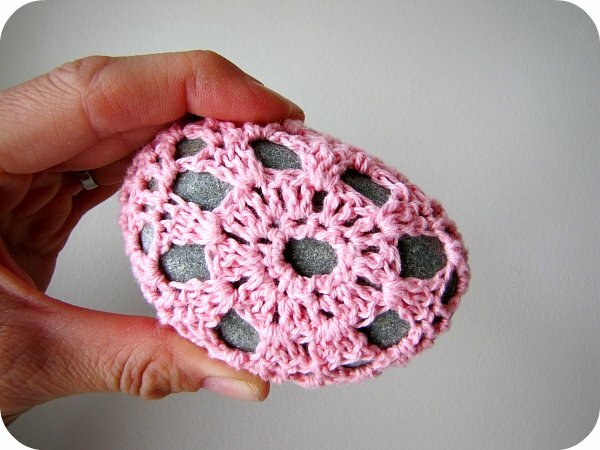 Perhaps a crocheted raincoat for your pet rock to go out in wet weather?? ha ha ha.... I can imagine the delight on his face discovering a stocking full of rocks on Christmas morning! You are crazy and I like it! you can NEVER have too many crochet pet rock jumpers. 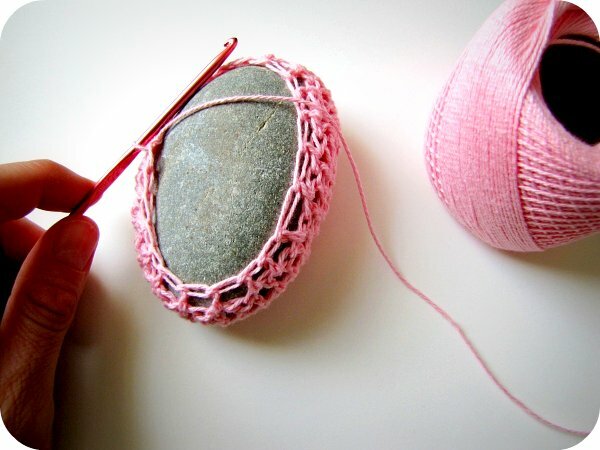 Your crochet magic even makes rocks look cute! Haha a sweater for your pet rock! !